Let's start with an interesting reminder – when early reports about the Snapdragon 810's overheating and throttling issues first surfaced last year, Samsung was quick to decide to build its Galaxy S6 and S6 edge flagships with its own, home-made Exynos 7420 processor under their hoods. One may think that this would put the relationship between Sammy and Qualcomm on rocky ground, but it seems quite the opposite has happened. Recent reports say that the new Snapdragon 820 is not only going to be the beating heart under the Galaxy S7's chest (or at least half of the Galaxy S7s in the world), but the SoC has also been developed in partnership with Samsung, employing its 14 nm LPP process to achieve high performance and power efficiency. It seems that the bond between the two companies is even stronger than it initially appeared, as a very recent rumor, coming from a leakster profile on Chinese social media site Weibo, claims that the first Snapdragon 820-equipped smartphone that will be launched commercially will be a Samsung. 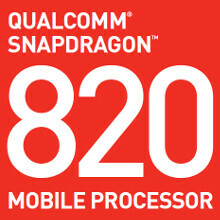 Other brand handsets with the latest and greatest Qualcomm SoC will not hit store shelves before April, the rumor says. The aforementioned piece of information is posted in the context of anticipation for the Xiaomi Mi 5, which is expected to be another Snapdragon 820-equipped smartphone. Xiaomi CEO Lei Jun took to social media earlier, saying the company will not try and race to be among the first to launch a handset with the new SoC — but it seems that's a doomed effort in the first place. Through the kind-of-broken Google and Bing translations of the Weibo post we mentioned earlier, it looks like Sammy has been promised the first Snapdragon 820 units for its Galaxy S7 flagship. Sounds about right, considering that Samsung lent its own tech towards the creation of the new chips, one would expect that the company would be the first one to get to sell devices equipped with them. Hopefully this will help get rid of touchwiz lag. No lag on my note 5, and that's running a launcher in top of it all. Not lag but reloading and stuttering caused by aggressive RAM management in the case of the S6 and up. They need to optimize better for more RAM since they literally have it in boatloads. I don't have any reloading or stutter on my Note 5. The only "lag" I experience is on reboot, it takes a little while to decrypt. They fixed that like 2-3 months ago. Now your most recent used apps stay in memory. I read a lot of eBooks(novels usually) on Google play books. Hence i use it a lot. I kept it in memory and used phone normally for 2 days. And it was still in memory. Yes, it doesn't use the LRU eviction policy like most other android phones. But this can perform better than that in certain scenarios. The apps I need open are always open in background. They already have, latest firmwares generally don't have this issue any more. The video that originally showed this was back in March. That has been fixed, no lag whatsoever in note 5. Have you even used an android flagship as of lately to know what you are talking about? If TouchWiz actually still lags (I can't speak to that because I haven't used a Samsung device for an extended amount of time), I doubt it's a processor issue at this point. Every high-end processor for the last five years has had the capability to run a mobile UX without lag. If TouchWiz still lags (again, not saying it does or doesn't) I'd imagine it's a software issue that won't be fixed by simply plugging in a new chipset. Touchwiz lags on my Galaxy Tab 4. Ugh. tab 4 have very weak cpu. sure lag. Samsung's tablets are all crap, using the old version of touchwiz. Note 5 is butter smooth, note 4 was still laggy IMO but 5 fixed it. Can't wait to see what they can do with this in N5/S7 series. Whatever is smoother than butter I guess? ART compiles all apps to native code on install. There is little to no virtual machine penalty on devices with Lollipop and above. And, in some instances, a VM is faster. Samsung S7 gonna be great. Google helping on the software, it should be even more debloated and smoother than ever. lag by software. no cpu can help it. None in the Note 5. Try again. It is not because you dont see it thats its not there. Some ppl are fine with 30 fps some need 60 fps. TW on any new samsung go from 60 to 30 fps randomly so if you have good eyes you will see the difference. As if there is no lag on other devices. There is not a single device which has no lag, period. Don't get me started on iPads lol. More overrated than iPhones. I've been trying to set one up all morning. Within the first hour had it reset itself, force close the settings twice and lock up for over 30 seconds 3 other times. Also, would not access icloud or set up exchange account via my wifi hot spot. Went to my co-worker's hotspot (which is the exact same model/carrier as mine) and it worked fine. This is the second one in a row I've set up that reset inexplicably during set up. My wifi hotspot works fine for all the others. I did have a signal, I was able to browse. It's the iPad Air 4g version .